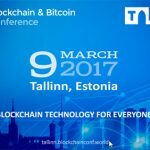 On March 22, 2018, Estonia will host Blockchain & Bitcoin Conference Tallinn dedicated to blockchain, cryptocurrencies, and ICOs. 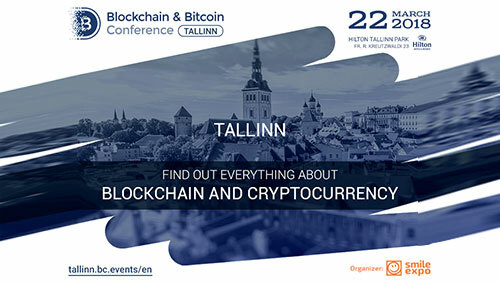 Estonian crypto experts and invited foreign specialists will talk about the future and the new prospects of blockchain industry. Vladislav Sapozhnikov, Co-Founder and CEO of Deex.Exchange (a platform for cryptocurrency exchange and trading). The speaker will discuss the blockchain future. He will examine decentralized ecosystems based on the BitShares financial blockchain platform. 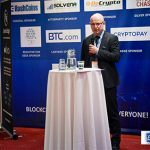 Lukas Kairys, CTO at Cryptodus, a company that develops blockchain business solutions using smart contracts. He will share his view of the future of smart contracts. 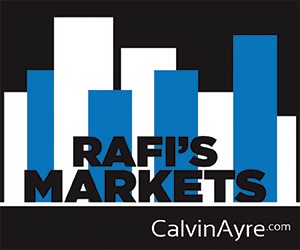 He will talk about new opportunities, technological tasks, and related risks. Aleks Bozhinov, CMO at Crowdholding that has developed a blockchain platform for entrepreneurs and their advisors. As an experienced marketing specialist, he will explain how one should cooperate with the audience properly when preparing a startup for ICO launch. Thierry Vallat, a lawyer, the founder of Cabinet Thierry Vallat law firm, a former member of Board of Directors, and a treasurer at ‘France-Estonia’ Association. The speaker will tell the audience what the blockchain industry and cryptocurrencies will face in Europe in the context of government regulation. Edgar Bers, Partner Relations Manager at HashCoins OÜ, a company developing crypto equipment and creating blockchain services. He will explain how blockchain can serve as a trusted entity. 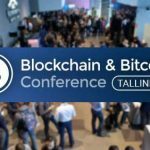 Follow the news about the event and the program upgrades on the official website: Blockchain & Bitcoin Conference Tallinn.